i was really excited (and frankly, shocked!) when i received an e-mail from abc family inviting me to be a part of their jane by design style challenge. 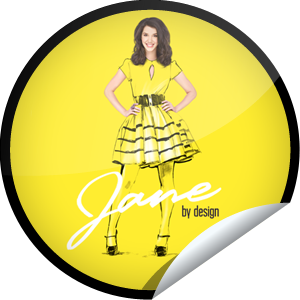 abc family's new show jane by design is set to premier in the beginning of january and to help spread the word, they're putting several bloggers to the test over the next few weeks! click here for a fun sneak peek of the show! our first challenge was to take a $50 gift card and spend it. tough gig, huh? if you want to join in the fun, make a quick video of some of your latest shopping finds and post it on the jane by design facebook page! (there are so many good sales right now... it's dangerous to leave the house.) it doesn't have to be a fancy video--there's nothin' wrong with a little webcam! just make sure you mention the daily be! i can't wait to find out what the next challenge is! if you're local, head to the east village to check out vitae, ephemera and eden! if you're not local--check them out online! oh my goodness! cute video - and i noticed we have the same love for leopard print! yay! SO excited that you get to do this! I loved your video! You are totally going to be famous. I'm with Manda - famous I tell ya! How fun! Wow! How very cool. The other day the previews for the show caught me eye and I thought it looked promising. Cool to have been picked and to receive such fun challenges. I can't find where to like your video on Jane By Design's Facebook. Help a sister help a sister?